Over these 12 months, we received $16,542.96 in individual contributions! Thank you Emporia! We use your donations as vital matching funds to match our grant from the Department of Housing and Urban Development. 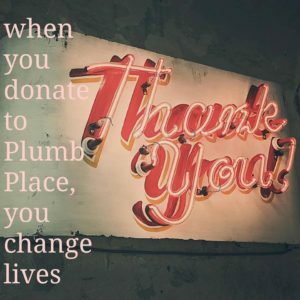 In addition to monetary donations, Plumb Place is grateful to receive an abundance of clothing, hygiene items, cosmetics, furniture, books, miscellaneous household goods, bedding, and food! Our in-house food pantry is almost entirely stocked by donations! These non monetary donations, as well as volunteer hours, serve as in-kind match for another of Plumb Place’s funding sources, the Emergency Solutions Grant. Plumb Place has not always tracked non-monetary donations, but started in late 2017. Though the donations received each month varies, a snapshot of a given month can be seen in May 2018. During this month, Plumb Place received $5,146.00 of non-monetary donations. 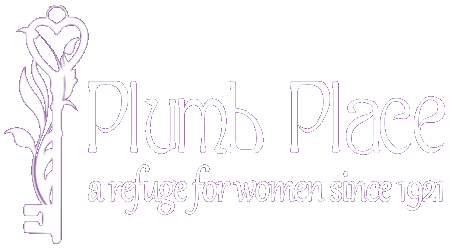 Interested in learning more about how Plumb Place is funded or how to donate? Please call 620-342-1613 or Contact Us.